This is of personal interest rather than anything else. 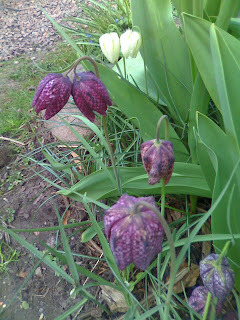 In our garden we had a double headed fritillary. I gather from Googling that it's rare but not unknown, so I don't think we can breed it and make a fortune. Here it is.